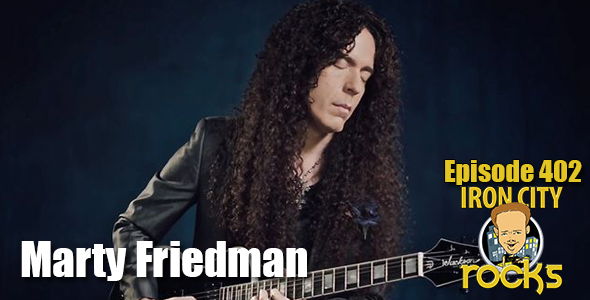 In Episode 402 of the Iron City Rocks Podcast we welcome Marty Friedman. Marty talks to us about his 2019 US tour which is is in full swing now, his latest album One Bad M.F. Live! !, working with Jason Becker on Jason’s latest album and much, much more. We are also joined by Band vs Brand film producer Bob Nalbandian. Bob talks with us about his great new film on how musicians have (or have not) capitalized on the brand that they are creating without maybe even realizing. A truly educational film and this should be required viewing after your second guitar lesson.